These rugs were created by award-winning St. Louis weaver Muriel Nezhnie, now deceased. 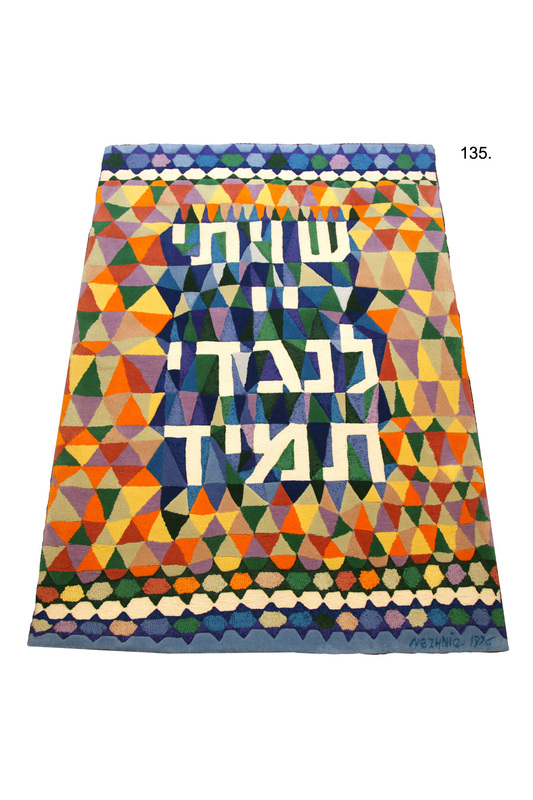 The first rug may be one of a kind, but the second rug clearly states that it is the 3rd of an edition of 15. However, I have not been informed if the other rugs in the edition are different at all from each other, or where they are currently. If you are reading this and are familiar with her work or know any information about this edition of rugs please contact me! I have more of her award-winning work in my collection. Please message me in the comment section below to inquire about pricing. This rug says a quote from the Bible: “I keep the Lord before me always” and was woven in 1976. 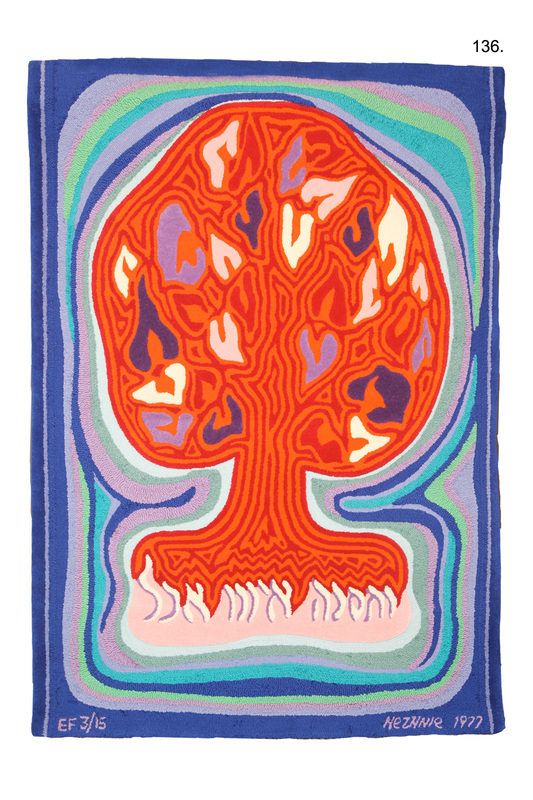 This rug depicts the burning bush with a quote in Hebrew at its base saying, “They were not destroyed.” This rug was woven in 1977.